By default, Citus Cloud logs all errors and other useful information that happen on any of the Citus instances and makes it available to you. 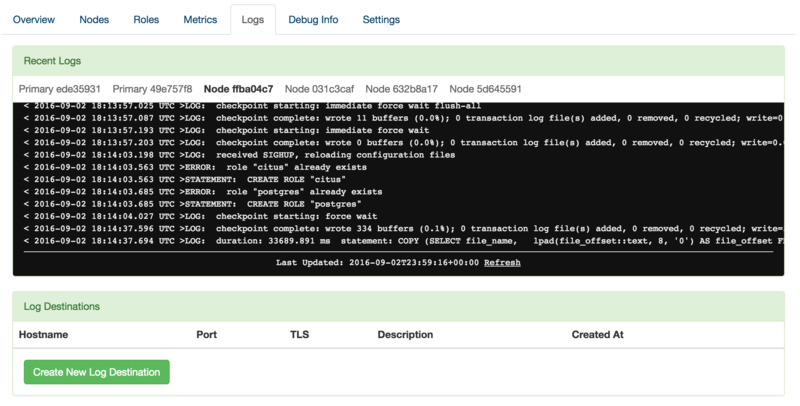 The Citus Cloud dashboard automatically shows you the most recent 100 log lines from each of your servers. You don’t need to configure anything to access this information. 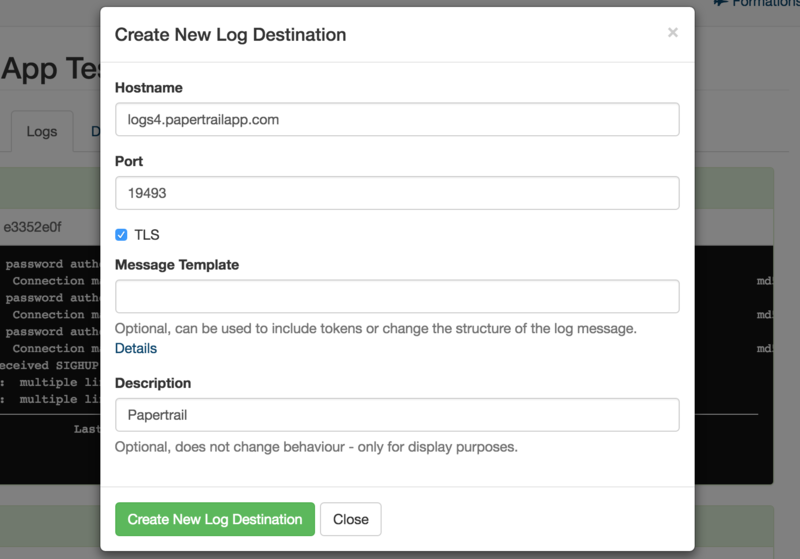 Note that after creation, it might take up to five minutes for logging preferences to be applied. You’ll then see logs show up in your chosen provider’s dashboard. The settings to use differ per provider. In the following tables we list settings verified to work for a number of popular providers. Replace <token> with the custom token listed in the provider’s web site. This token tells them the logs are yours. We support other providers that can receive syslog via the BSD or IETF protocols. Internally Citus Cloud uses syslog-ng, so check your providers configuration documentation for syslog-ng settings. Please reach out if you encounter any issues.